As I said in my last post I was just in Mexico, so my theme is Mexican food. I started really getting into Mexican food while living in San Diego. 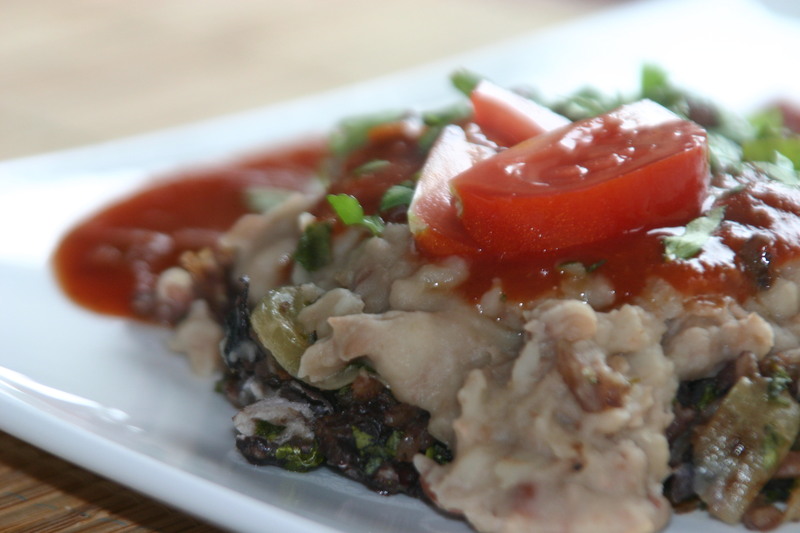 I had no idea refried beans could be so good. There was one place I would go and get a burrito with rice, beans and guacamole. That’s it. Well, then I would dump hot sauce over everything. The place is Taco Fiesta in Ocean Beach if anyone is out that way. Since moving I have been working on making my beans and hot sauce taste like theirs. These beans are pretty close, but my hot sauce is still not worth posting. Soon I hope. Homemade vegan refired beans are the best thing in the world if you ask me, the flavor and texture is so different from what you can get in a can, and so much better. You also have a lot more control over the texture. I like mine a bit chunky, but not thick. When you are mashing them up you can stop whenever you get to your perfect bean texture. I make these in my pressure cooker, so the measurements are for that. You could also soak the beans overnight and cook them on the stove. Stove top the beans will take about 2 hours to cook. I have a 3 in 1 pressure cooker that cooks at 12 psi, the cooking time might be a little shorter if you have a 15 psi cooker. If you are watching your fat intake you can omit the shortening and just mash the beans in their own juice. Put pinto beans, water, onion, garlic, broth powder and bay leaves in pressure cooker. Cook on high for 33 minutes. 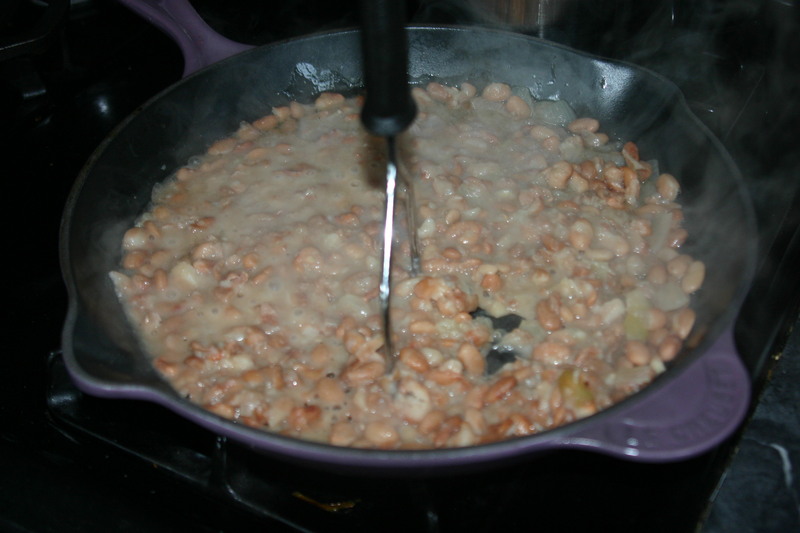 When beans are done melt shortening in a large skillet. Remove the bay leaves and spoon beans into pan and mash with a potato masher. Add bean juice a little at a time until beans reach desired consistency. The beans thicken a lot as they cool, so add a little more than you think you want.